Earl L. Ulbricht of South Bend died unexpectedly Monday, November 5, 2018, at Indiana University Health Hospital in Indianapolis, Indiana. Son of August H. and Merna K. (Newman) Ulbricht, Earl was born in South Bend, Indiana, on November 11, 1946. He graduated from Greene High School in 1965, and shortly thereafter, joined the United States Navy. 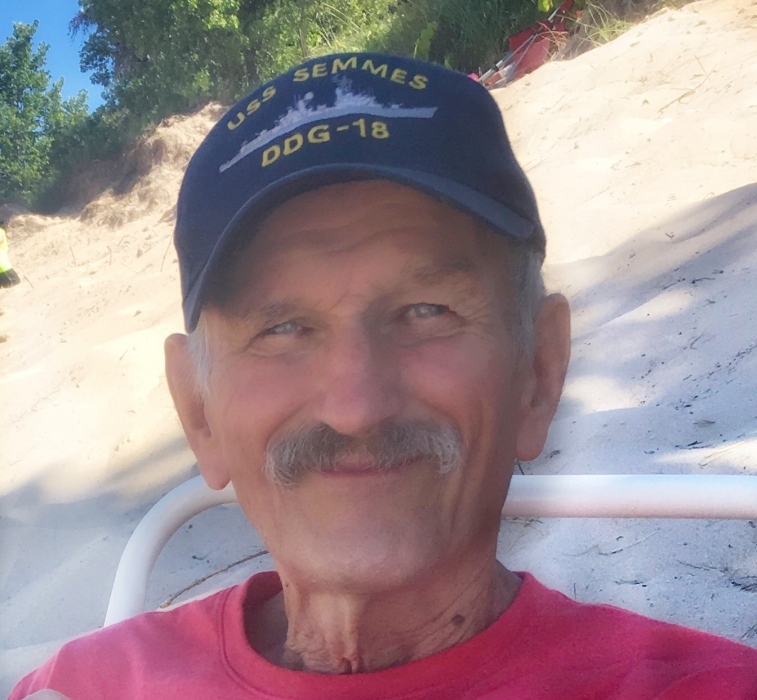 He served his country for six years during the Vietnam War aboard the USS Semmes (DDG-18), a class guided missile destroyer. While in the U.S. Navy, he did six tours in the Mediterranean, including a seven-month deployment with the 6th Fleet where he traveled to Norway, Denmark, Germany, Austria, France, the Netherlands, Italy, Spain, Portugal, Greece, Morocco, Lebanon, and Israel. After being honorably discharged from the armed forces in 1971, he briefly relocated to the Isle of the Palms in South Carolina before he returned to the South Bend area where he has remained a lifelong resident. On September 7, 1974, Earl married the love of his life and soul mate, Tammy J. Olson. Throughout their forty four (44) wonderful years of marriage together, they have enjoyed attending Notre Dame Football games, volunteering with numerous community organizations, establishing Strawberry Hill Stained Glass Art Studio, and spending time with their daughter, Ashley, in Carmel, Indiana, where she serves as City Attorney. Earl was a member of IBEW Local 153 where, prior to his retirement in 2011, he worked the majority of his professional career as head of electrical maintenance at the University of Notre Dame. His love for Notre Dame was known by everyone who has had the pleasure of his acquaintance. Every fall, Earl was certain to be found hosting tailgates and attending Notre Dame home football games with his family and closest friends. Earl enjoyed working in his organic garden, tending to his cherished beehives, traveling with his family, cooking gourmet meals, fishing, snow-shoeing, cross-country skiing, wood working and stained glass. He was the current Treasurer, Past Worshipful Master, and member of the North Liberty Masonic Lodge #266 F&AM for forty-three (43) years. He was also a member of the Valley of South Bend Scottish Rite Freemasonry, a member of the Greene Township 4-H Advisory Board for thirty-eight (38) years, and past President of the Sumption Prairie Cemetery Association for thirty-two (32) years. Earl proudly served as an Executive Director of the St. Joseph County Fair Board Association, a cherished Greene Township 4-H leader for over thirty-eight (38) years, and was the 2012 St. Joseph County Friend of 4-H award recipient. Earl is survived by his wife Tammy and their only daughter, Ashley Ulbricht, who lives in Carmel, Indiana. He is also survived by a brother, Fred Ulbricht, of South Bend; a dear cousin who was like his sister, Sara (Naragon) Morgan and her husband, Peter, who live in Paradise Valley, AZ; a father and mother-in-law, James A. and Marie E. (Kaser) Olson, of North Liberty, Indiana; a sister-in-law, Patti Olson, of Columbus, Ohio; a brother-in-law, Jim E. Olson; numerous nieces, nephews, and cousins; and his adored Maltese companion, Rockne Harrison. He was preceded in death by his parents and sister, Marlene Ulbricht. Visitation will be held to celebrate his life on Sunday, November 11, 2018 from 2-6 p.m., with a Masonic Service to follow at Palmer Funeral Home, Guisinger Chapel. Funeral services for Earl will be held on Monday, November 12, 2018 at Gloria Dei Lutheran Church at 11:00 a.m., with visitation at the church beginning at 10:00 a.m, followed by graveside services and burial at Sumption Prairie Cemetery. Memorial contributions in memory of Earl L Ulbricht may be donated to North Liberty Masonic Lodge #266 F&AM, 3887 S. Hupp Road, LaPorte, In 46350. Online condolences may be offered to the family at www.palmerfuneralhomes.com.